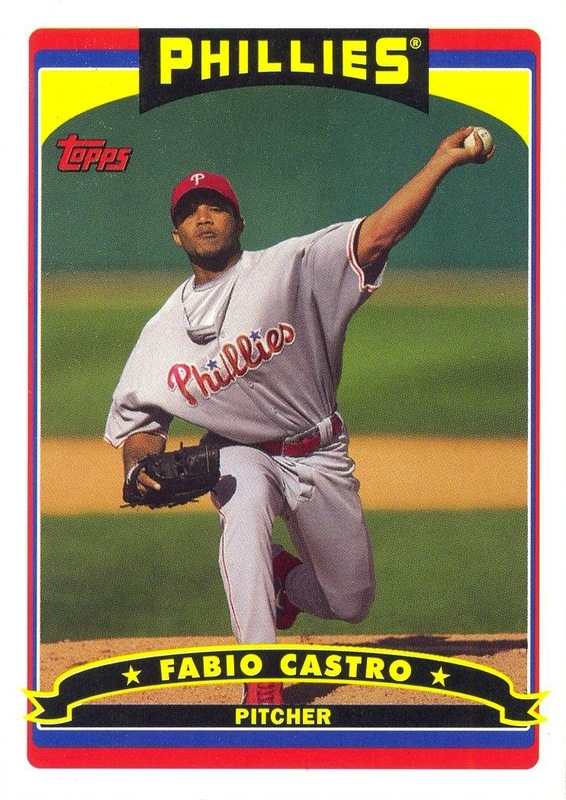 Rookie Cards: Fabio Castro, Danny Sandoval, & Chris Coste. Although none of these cards bear the “Rookie Card” logo, they are rookie cards as the definition is understood within the hobby. 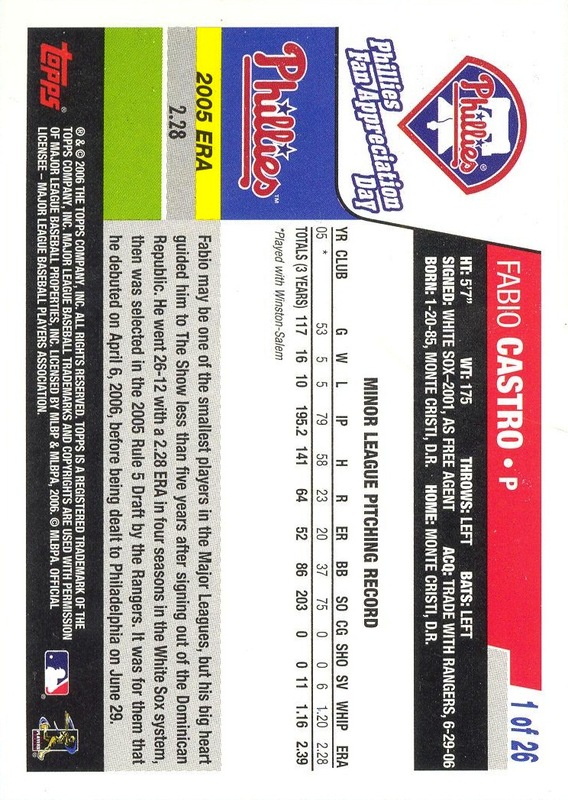 Additional Information: Neither SCD nor Beckett list any information regarding this set, which was issued as a complete “team card pack” to fans attending the Phillies’ “Fan Appreciation Day” promotion on September 24, 2006. While the set utilizes the same basic design as the 2006 Topps set, the fronts do not contain any foil. Instead, yellow ink used in place of where Topps originally located foil on the cards. A significant number of the cards in this set are either unique to this set (i.e., these players do not appear as a Phillie in the 2006 Topps, 2006 Topps Chrome, 2006 Topps Updates and Highlights or 2006 Topps Phillies Team sets) or utilize photos different from the ones used in any of the aforementioned sets. Those cards are marked in the checklist below with an asterisk following the player’s name. The set contains the only baseball card depicting Rick White as a Phillie.